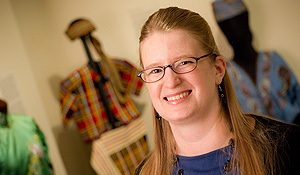 Sara Cromwell, the Public Relations, Marketing & Membership Coordinator at the Museum of Anthropology, was elected president of the Association of Visitor Attractions of Forsyth County (AVA) in December. The AVA is a 12-member organization established to promote and advance cultural, heritage and recreational tourism to Forsyth County and the participating attractions. The AVA works closely with Visit Winston-Salem, the county’s convention and visitors bureau to accomplish these goals.